With the escalating need for new lighting systems, it seems you are living in the world of new trends, where the possibilities of emergent technologies are endless. New lighting systems like G9 capsules (popular lighting systems) have continued to rock the lighting industry. The G9 capsules are ideal in small spaced settings that require a higher amount of light. Since their discovery, these LED options have continued to be a whimsical alternative to ancient halogen capsules. 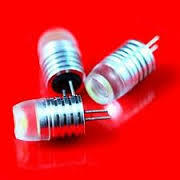 The G9 LED capsules save energy, are cheaper to run, and do emit the same amount of light as ancient halogen capsules. With that in mind, here is what you should know about the advances that have catapulted the LED revolution. But, first get the basics right. Why move from watts to lumens? Watts is a measure of how much energy the light bulb uses, while lumens are used to measure the amount of light the lighting system gives out. Similar to watts, the higher the value of lumens, the brighter your light will be. For instance, a 1521 lumen bulb (which is a 100W equivalent) is brighter than an 800-lumen bulb (which is 60W equivalent). G9 LED Lamps & Capsules can be direct replacements for G9 halogen capsules, however, they can be a lot larger than normal halogen capsules; so, it is important to check if they will fit into the fitting or not. It is also imperative to check that the LED G9’s have adequate ventilation because otherwise the LED’s or internal drivers can overheat resulting in failure. G9 capsules are LED in nature. As such, they emit minimal heat, which makes G9 capsules efficient and energy-saving. In fact, they can save up to 88% amount of energy as compared to standard capsules. The Omni-directional G9 LED capsule is indisputably effective due to the fact that they emit light equally, effectually as well as multi-directionally. 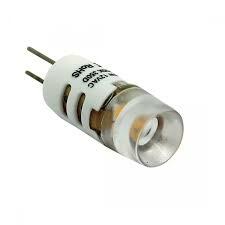 Moreover, they do not heat up –which allows the LED capsules to be surprisingly efficient and reliable. Most G9 LED capsules feature a warm white color which perfectly suits interior living areas. The most common type of light bulb is indisputably the Edison Screw (ES) light bulb. Actually, ES is the threaded connector which Thomas Edison had patented and utilized. These types of bulbs are available in sizes like E11, E14, as well as E17. The numbers denote the base size. On the other hand, the “G” in G-type LED bulbs represents “glass,” from which they were initially made. Invented towards the end of the 19th century, the G-type bulbs offer a fantastic alternative to conventional bulbs to circumvent Edison’s patent. That is why they have a unique base shape. Similar to the Edison Screw bulb, the G bulb is manufactured in different sizes, the G9 light bulb being one of them. The “9” is meant to denote the actual number of millimeters in between the 2 adjacent pins. With a 360° beam angle, the G9 capsule bulbs offer the widest beams you can find on the market today. So you only need a fewer number bulbs to light up larger spaces. They last over a decade. G9 technology takes care of how long your LED lighting system will last. The technology ensures that your lighting system lasts for at least 25,000 hours, which is about 15 years (on average use) of service. LEDs are ruling the lighting sphere. They are efficient and consume low energy. That is why, if you haven’t embraced this new trend, you are missing a lot. Try G9 LED capsules today and redefine your living space!